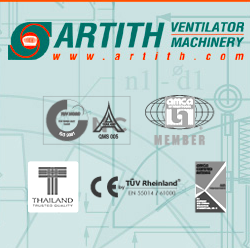 Artith was established as the first shop in Thailand producing 12” diameter turbine ventilator under trade name of “Artith Ventilators” which was registered in the name of Artith Ventilators Ltd., Part in 1984. 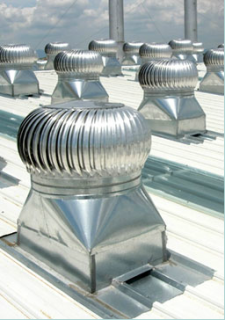 For more than 25 years, Artith has been proven for high quality wind-turbine ventilators for industrial and household use. The proven was shined with our expansion of establishment of “Artith Machinery Co., Ltd.” to manufacture ventilation machinery including fan powered turbine ventilators, blowers, exhaust fans, centrifugal fans and duct fans continue with opened branch at Hadyai, Petchaburi and KhonKaen. Artith was established as the first shop in Thailand producing 12” diameter turbine ventilator under trade name of “Artith Ventilators” which was registered in the name of Artith Ventilators Ltd., Part in 1984. For more than 25 years, Artith has been proven for high quality wind-turbine ventilators for industrial and household use.